Preface Statistics is seldom the most eagerly anticipated course of a business student. It typically has the reputation ofbeing aboring, complicated, and confusing mix of mathematical formulas and computers. 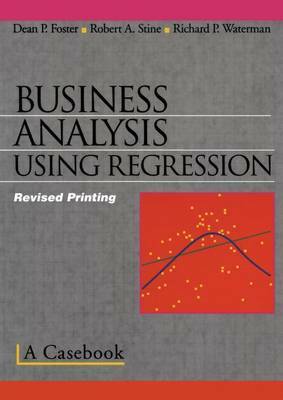 Our goal in writing this casebook and the companion volume (Basic Business Statistics) was to change that impression by showing how statistics gives insights and answers interesting business questions. Rather than dwell on underlying formulas, we show how to use statistics to answer questions. Each case study begins with a business question and concludes with an answer. Formulas appear only as needed to address the questions, and we focus on the insights into the problem provided by the mathematics. The mathematics serves a purpose. The material is organized into 12 "classes" of related case studies that develop a single, key idea of statistics. The analysis of data using statistics is seldom very straightforward, and each analysis has many nuances. Part ofthe appeal ofstatistics is this richness, this blending of substantive theories and mathematics. For a newcomer, however, this blend is too rich and they are easily overwhelmed and unable to sort out the important ideas from nuances. Although later cases in these notes suggest this complexity, we do not begin that way. Each class has one main idea, something big like standard error. We begin a class by discussing an application chosen to motivate this key concept, and introduce the necessary terminology.